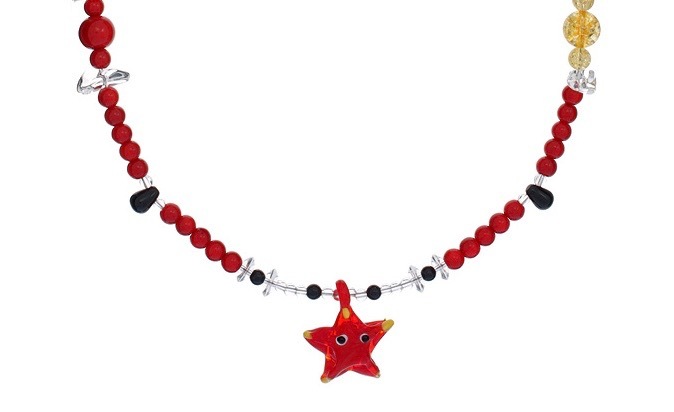 Red Starfish | Zonyxa. Unique and contemporary jewellery for Work. Love. Play. 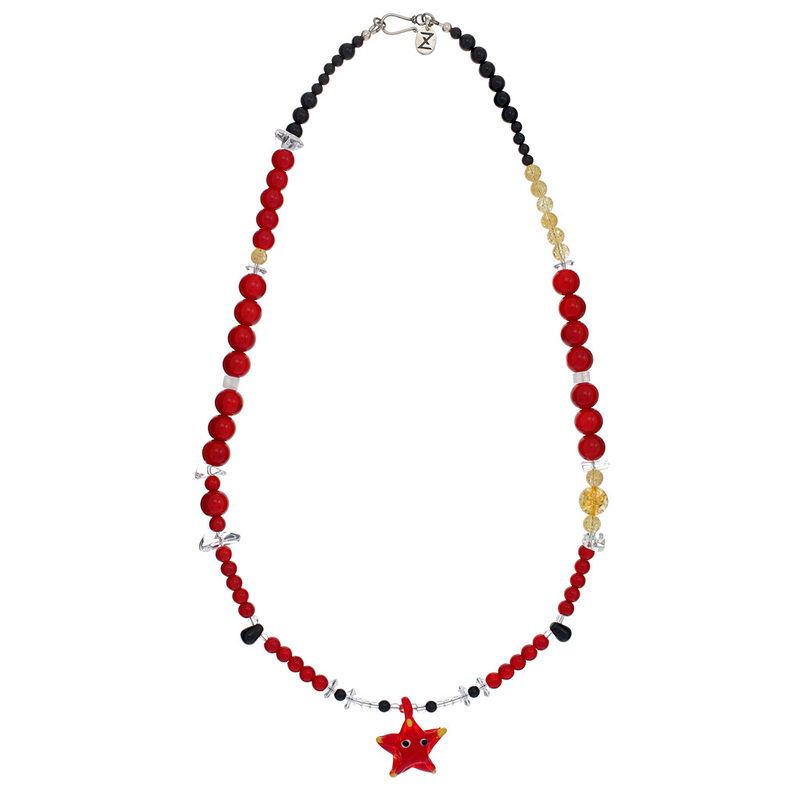 The necklace is handcrafted from onyx, crystal, coral and quartz.